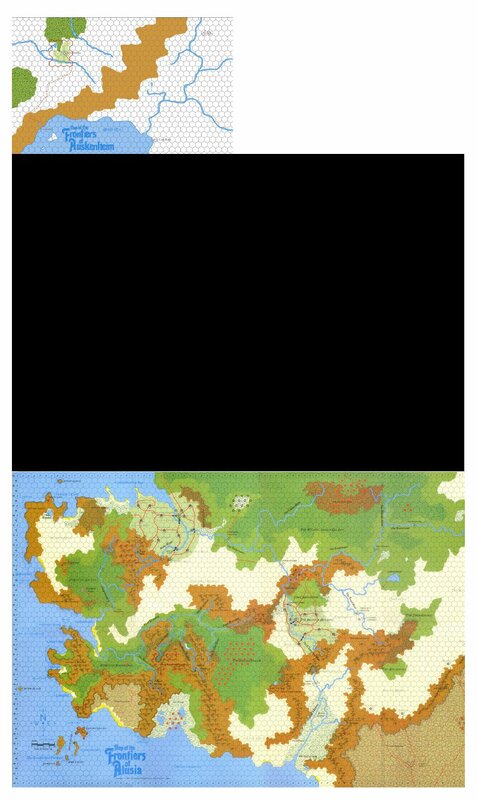 Since the adventure will include its own map (the new quarter-map that Stephen Peto is working on) it is not going to be located on the Frontiers of Alusia map (though I expect an enterprising GM who really wants to transpose it there may find a way to do that). The better question would be if it will coordinate with Frontiers of Alusia at all. My initial thought in putting it together was just that I was creating a new map; I meant it to be a completely separate setting. However, I’ve ended up with something that might coordinate with the Frontiers of Alusia rather well, for some people. 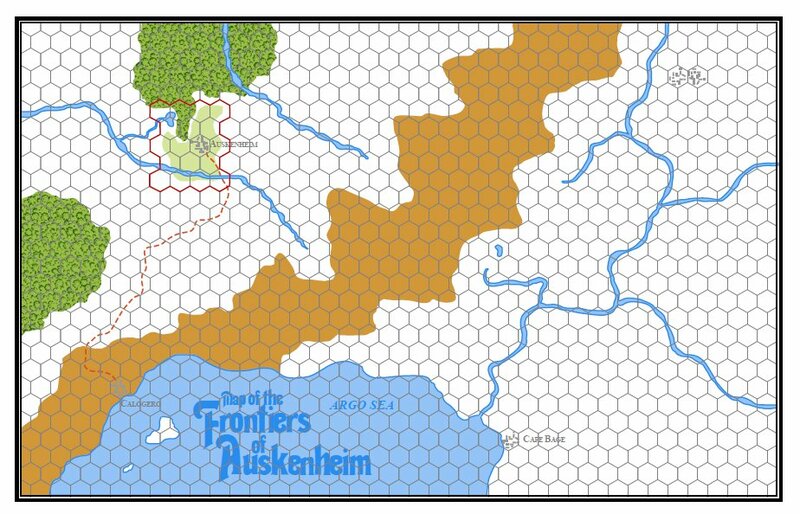 There are probably many campaigns that have already developed their own extensions from the Frontiers of Alusia, and this extension may not readily fit into how their campaign has developed the lands beyond Alusia. I haven’t gotten a lot of strong feedback one way or the other about having a connection with Alusia. I’m curious if those of you who are using Alusia have strong thoughts one way or the other. Do you think this is a useful enhancement to the existing setting, or is this stomping all over sacred memory, and Alusia should be the beginning and end of it all? Had an exchange of emails with Nate Marcel, the artist who I’ve been in touch with about doing some illustrations for the Wilderness project. He’s posted a shout-out about the project on his blog, so I’m taking the occasion to also link to his blog. Feedback from the adventure supporters about his work has been positive, too. This image (which I’ve linked to his online sketchbook) is very reminiscent of the illustrations by John Garcia from the original DragonQuest rulebook. It’s not the same style, but it has a similar character. (Garcia, unfortunately, died a few years ago). I’ve also been using this particular image as a placeholder/test image as I’ve been working on setting up the page layout. If you’re a DQ player, I think you’ll agree there’s something about this kind of black and white illustration that just seems right for DQ. I think he was a serendipitous find. It’s a small job for him, but he’s been very receptive to working on a small scale gaming project and recognizing we don’t have a big budget. I’m looking forward to working with him on this. There is a good discussion about many of the finer points of setting up a project with IndieGoGo or Kickstarter on RPG.net; it’ll probably spill past this point as the discussion continues, but I just came in on the thread a couple pages back, so this will put you in the middle of the part I’ve been in on. In response to the suggestion from another commenter that you should open your project to non-domestic supporters, I completely agree. For DragonQuest, which has a big international audience, being readily accessible outside the US was important, and it’s paid off. More than a third of the contributions (in total dollar value) to the Wilderness project to date are from outside the US, coming from 3 different countries, so far. I also understand that Kickstarter is less easy for non-US supporters, which is one of the reasons I went with IndieGoGo, though it sounds like IndieGoGo has some other drawbacks. It was also suggested that you have separate domestic and international perks. Mine won’t be too expensive to ship, and I think international shipping looks to be less of a premium than what I originally thought it might be. If you have a strong international appeal and the perk levels warrant it, you might consider eating or splitting the international shipping costs, to make it more appealing. I haven’t officially announced it, yet, but I’m contemplating splitting the international shipping upcharge with my supporters. The ‘Wilderness’ adventure fundraiser has made the basic goal, but I’m really hoping to get to twice that level, in which case I’ll be producing a larger (32 page minimum) adventure. If you’re still thinking about contributing, there’s a week to go, and your support would be greatly appreciated. I’m thinking about taking a bit of the money from the fundraiser and creating a publishing house to produce DragonQuest material (and other stuff, too). I’ve revised the Antherwyck House name I used on the original Poor Brendan’s Almanac when I first put that together (though I’m not absolutely committed to that name). 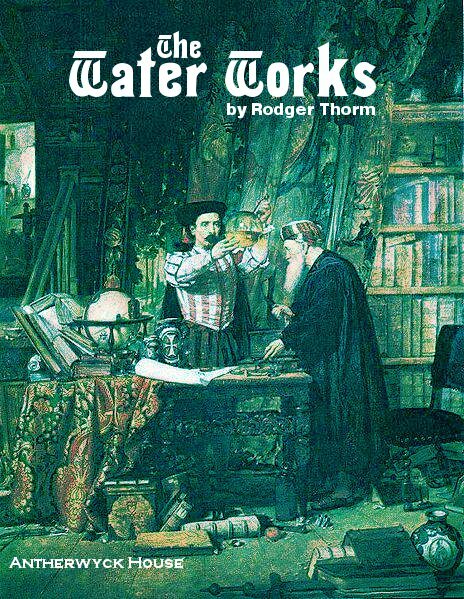 For now, I’ve also used the name on the revised Water Works I’ve been working on. We could buy a domain or two, get hosting somewhere, form an LLC, and start making a line of DQ stuff available. With online distributors around and POD for people who want to buy hardcopies, there’s not much that would require labor, other than producing new material. With Poor Brendan’s Almanac, The Water Works, and the Wilderness adventure, we’d have three items in our catalog to start out. It’s not a huge inventory, but it would be more than a single adventure, so we’d have some presence from the outset. Although there haven’t been thousands of people flocking to support ‘Wilderness,’ there are enough supporters that we’ve been able to meet a modest crowd-source goal. That shows that we do have an audience, and if we build on that base, it might be possible to expand things. It’s looking a ways ahead at this point, but would another fundraiser to gather general support for starting a new DQ-oriented publisher make sense? Something to think about.